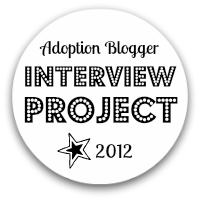 ADOPTEES: Explore adopted-related feelings; probe, absorb, and understand. One letter, one line, one paragraph at a time. PARENTS: Are You Equipped? Understand the issues. Have the tools. In addition to teaching Tweens, Teens & Beyond, I coordinate and teach adoption preparation education and transracial parenting to parents who are in the adoption process. I also work as a support specialist, equipping parents with new techniques and information, and encouraging and empowering adoptive families through difficult times. Interested in working with me? Contact me at: judy [at] judymmiller [dot] com. Pieces of Me: Who Do I Want to Be?